Cover goes right over your car's windshield, cutting down defrosting time and fuel used. Plus, wipers stay protected and last longer. 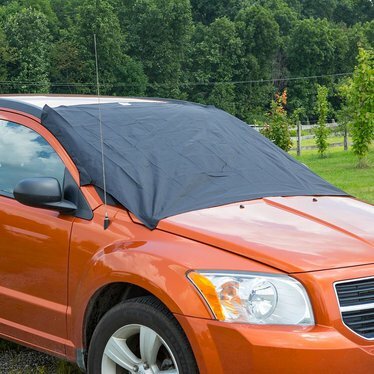 We carry covers for SUVs and trucks too! It's a winter essential that saves you a hassle and money. For best care, hand wash as needed. I gave these as Christmas Gifts to my Co-Workers, they seem to be well made and my Co-Workers were please with them.